In July 2015, Saparmamed Nepeskuliev, a freelance journalist who had contributed to both RFE/RL’s Turkmen Service as well as Alternative Turkmenistan News, was detained in the city of Avaza, Turkmenistan’s would-be Caspian seaside resort town. Since then he has been held incommunicado and convicted on drug charges in a closed trial. “[N]othing has been heard from or about Nepeskuliev since September 2015,” RFE/RL says in a recent press release aimed at bringing the Nepeskuliev case into the public eye once more. A man claiming to have been Nepeskuliev’s cellmate in late September told RFE/RL that the imprisoned journalist told him he’d been framed by the authorities. Nepeskuliev was on assignment in Avaza last summer, according to RFE/RL, which, along with 13 media and human rights organizations, has sent a letter to Turkmenistani President Gurbanguly Berdimuhamedov calling for Nepeskuliev’s release. Nepeskuliev was photographing sites in the seaside city, which sports several mega resorts and tries very hard to look like Dubai (minus actual tourists). In a 2011 article in the Telegraph, Richard Orange wrote following a visit that Avaza “may be the most ill-conceived resort ever built.” The eight marble (of course) high-rise hotels cost £884 million (or roughly $1.3 billion dollars at the time). “Despite the low occupancy rates at existing hotels, there are plans to build a further 15, plus an aqua park and two Dubai-style artificial islands” Orange noted. Turkmenistan sees few tourists, owing in large part to the fact that obtaining a visa is incredibly difficult, making the resort not just ostentatious but giving the lie to the underlying economic argument. Moreover, signs point to increasing economic difficulty–rooted in resource prices and high-level waste and hinted at in recent policy shifts, most prominently the plans to end free utility services. Over the past several months, several officials have been shuffled around, fired, replaced, reassigned. In light of region-wide economic hardship and shifts within the political establishment, reporting on profligate state expenditures is all the more important. But Turkmenistan is a hermit kingdom, like North Korea (sans the nuclear ambitions). A country with a pristine, glittering capital encased in marble and mostly empty, Turkmenistan keeps a tight lid on people and information coming in and out. Regional observers say Ashgabat is scrambling to cover the economic cracks, let alone the political ones and security concerns regarding the Afghan border, and that Nepeskuliev’s detention and disappearance are part of that campaign. 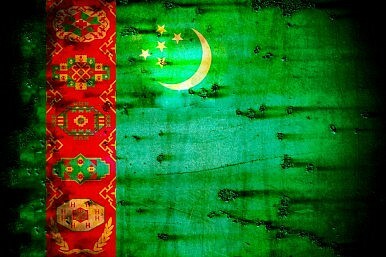 Radio Azatlyk, the Turkmen-language RFE/RL service, is blocked, although people in Turkmenistan have been able to access its radio broadcasts via satellite dishes. Ashgabat’s war on satellite dishes–ostensibly a beautification project–also has had the effect of further cutting off Turkmen citizens from independent sources of news. Nonetheless RFE/RL says the Turkmen service’s reach has continued to grow, with the average number of monthly visits to their webpage growing from 18,000 in 2011 to 335,000 in 2015. In Nepeskuliev’s case, the idiom “no news is good news” is far from true. The lack of news may keep Nepeskuliev’s name off headlines but it’s of little solace to colleagues, friends, and family. There’s legitimate cause for concern when family and legal counsel are unable to access a prisoner. In neighboring Uzbekistan, the authorities were recently forced to confirm that a prominent political prisoner who had been in jail since 1999 had died back in 2010–they confirmed his death a month before his release date in early 2016. “Our concern for Mr. Nepeskuliev is intensified by our recollection of the fate of Ogulsapar Muradova, an RFE/RL contributor who died in a Turkmen prison under suspicious circumstances in September 2006,” the RFE/RL letter says. While there is unlikely to be a response from Ashgabat to RFE/RL’s letter, it serves to stir up conversation about his case and could hopefully lead to even the smallest update on his whereabouts and condition.